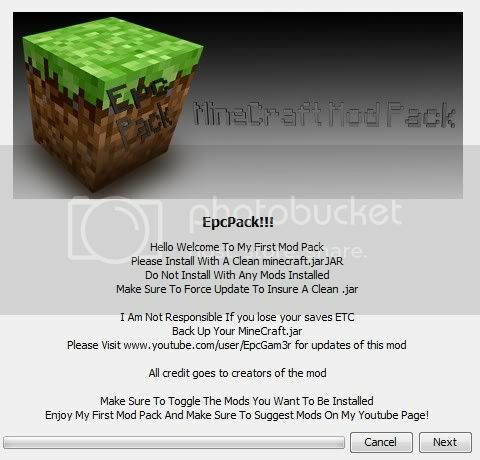 Hey guys so today I will be showing you the "EpcPack" It will be a easy minecraft mod installer. Now this mod pack will be released when I get permission from every single mod creator so all you can do to help make this mod come out faster is messege the mod creators :biggrin.gif: but for now Keep looking out for the final release of this mod pack. first cool maybe screen shots? 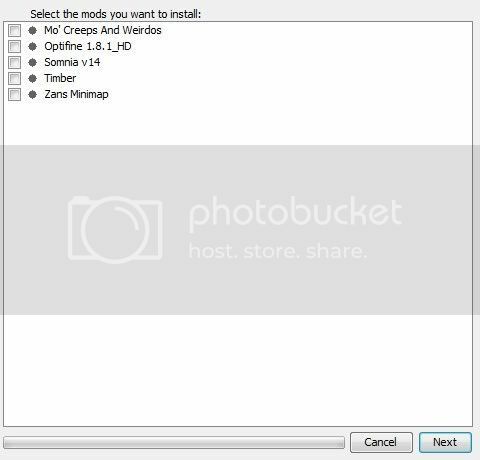 I can't release it intill I get permission from al the mod makers to make the mod pack come out soom messege some of them I have messeged them all ready but you can too. Wrong section, it belongs in the "Tools" section. Oh heck it won't, anything is better than the Yogbox. Neckbeards! Doctor Cichocki does not approve of stupidity and neither do I, stop the spread of damned useless rules!